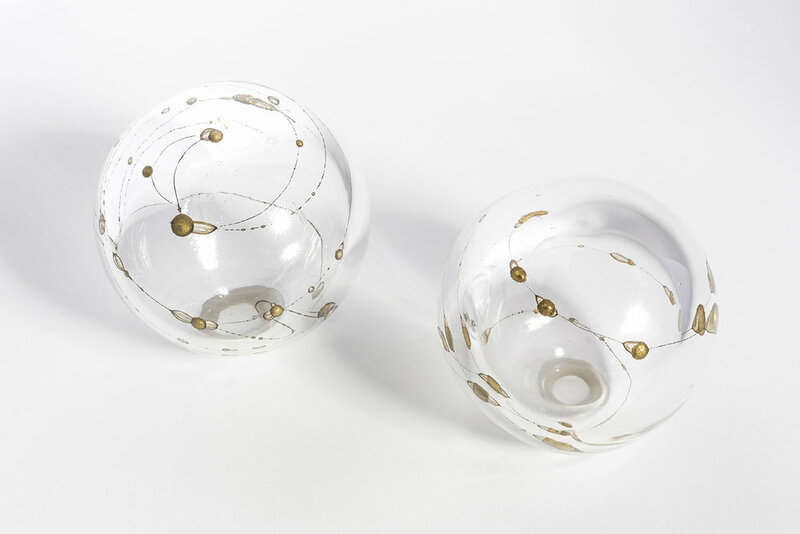 These pieces are a product of a collaborative Experimental Design course offered by Aalto University and Iittala Glass Company. Throughout the course, my goal was to study line-making possibilities in glass. This included adding geometric metal structures in both kiln casted and blown glass. The most promising outcomes came from encasing brass rod between layers of hot glass, as it created drawn and jewelry-like patterns. There were also some successful results in fusing brass armatures to the glass and weaving soft materials on the exterior of the shapes. The video below shows several processes, some more successful than others.